Ar are sight on the world's waters 20 years ago, catamarans are now ubiquitous. At boat shows, they elbow aside monohulls, clamoring for attention. And they get it. Their mere presence demands it. They' re big and brash, they offer bountiful creature comforts, and they revel in their exuberant styling. Catamarans have evolved over the past three decades, and the public perception of the cruising cat has gone from oddball and dubious to mature and proven. Viewed more clearly through the lens of experience, the spectacular flips of some early racing models are accepted now as the inevitable outcome of experimentation and the price of progress. Modern cats have benefited from the "oops" moments of these pioneers, and they're now considered at least as safe as monohulls. aboard a catamaran really heard that for five, maybe more years. We do get 'How fast can it go?' But that's usually for pass-along information intended for the guys back at the office. What people are really interested in is the space." That, and the idea that sailing holidays don't have to mean the family has to be cramped together, white-knuckled, at 30 degrees of heel. Instead, they can spread out and lounge in the airy deck-level saloon, with its wide view of the horizon; engage in the sailing in the roomy cockpit; or lie on the trampoline and watch the sea go by. 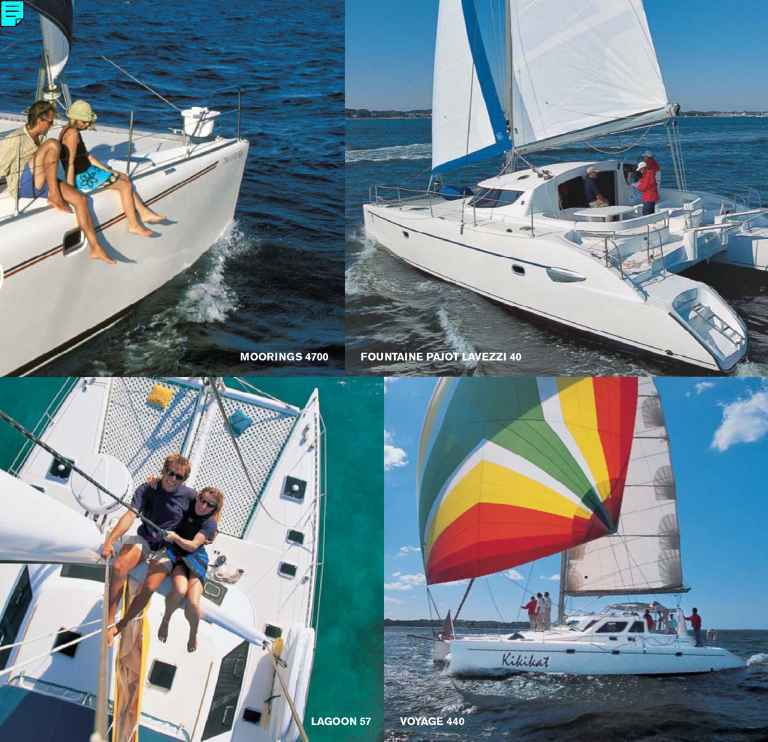 A sampling of catamarans shows there are as many ways to have fun on two hulls as there are skippers to sail them. 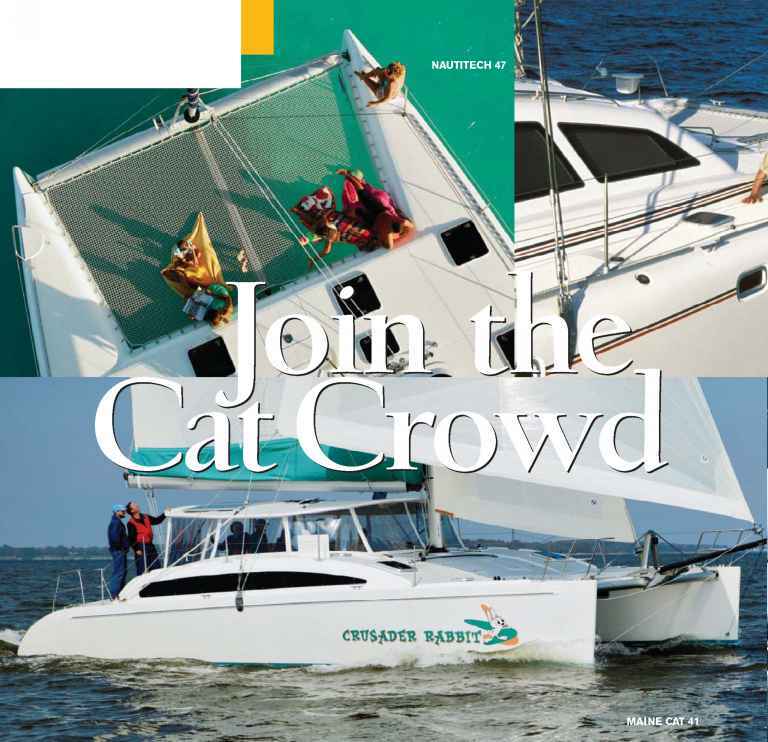 For a list of cruising-cat builders, see page 77.
speed but for comfort. Their appeal has as much, if not more, to do with the luxury they offer—and a penchant for lying qui etly to an anchor i n a ro lly road-stead—as it does with their ability to sail a little faster off the wind than their monohull cousins. OK, in some cases, a lot faster. While cabin count and condo-like convenience rank high on the cat designer's brief, they come blended with performance and seakeeping features in all ratios. 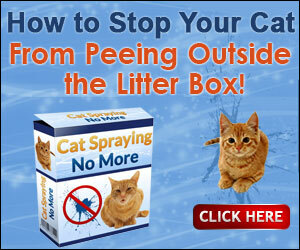 There's a cat for every wallet and want, from small to large and from gentle and domesticated to fast and feral. 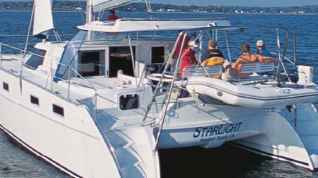 Under 30 feet, a catamaran's natural proportions converge to make it less habitable than a monohull of similar length. 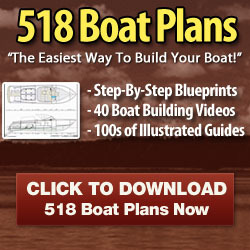 The hulls become constrictingly narrow, and it requires great artistry on the part of a designer to fit headroom into a bridgedeck saloon without seriously limiting clearance over the water or condemning the profile to a caricature.